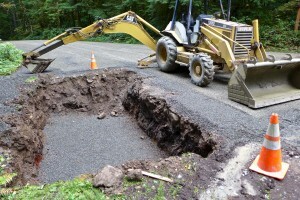 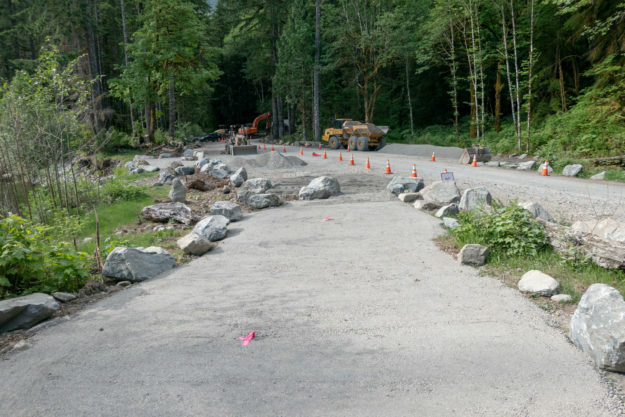 In October 2013 the Forest Service completed a badly needed upgrade to the Dingford Creek trailhead. 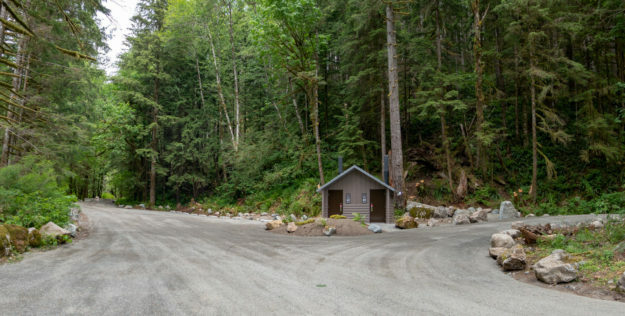 When the Middle Fork road was permanently gated here in June 2007 the Dingford trailhead absorbed the users that previously drove farther up the road to Goldmyer Hot Springs or the Dutch Miller Gap trailhead, in addition to those heading up the Dingford Creek trail or down to the bridge over the Middle Fork river to the Middle Fork trail. 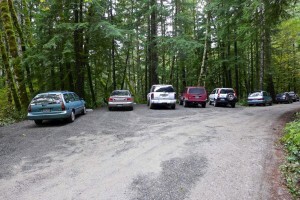 On sunny summer weekends the parking was often maxed out, and without any restroom facilities the surrounding forest was becoming a smelly mess. 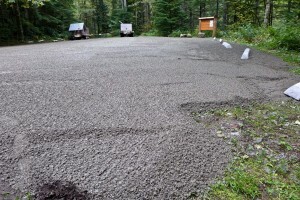 Besides a new prefab Cascadian Vault Restroom the parking lot received a thick layer of gravel and concrete parking bumpers. 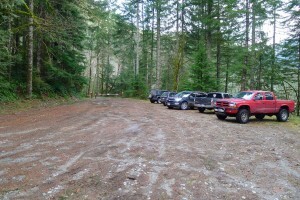 The bumpers increase the capacity encouraging diagonal parking on both sides of the trailhead area. 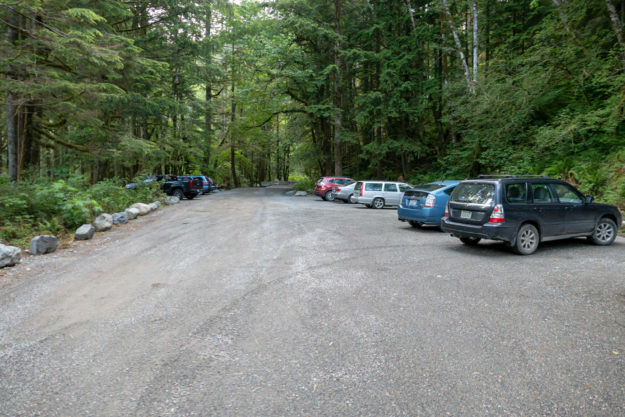 This change did not come out of the blue. 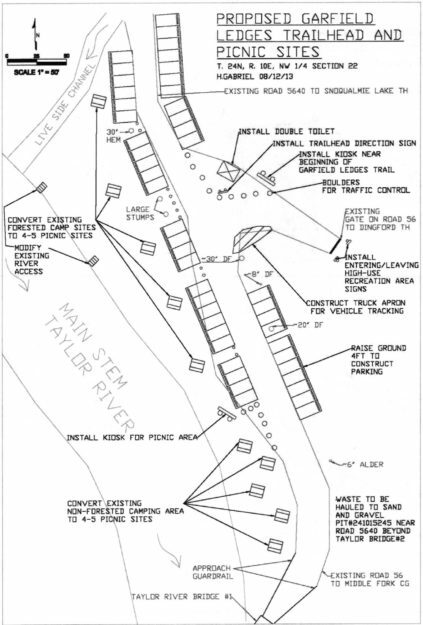 It was part of the Access and Travel Management decision 8 years ago in 2005. 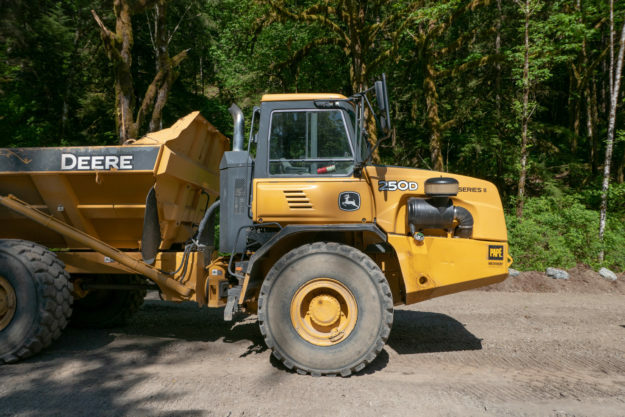 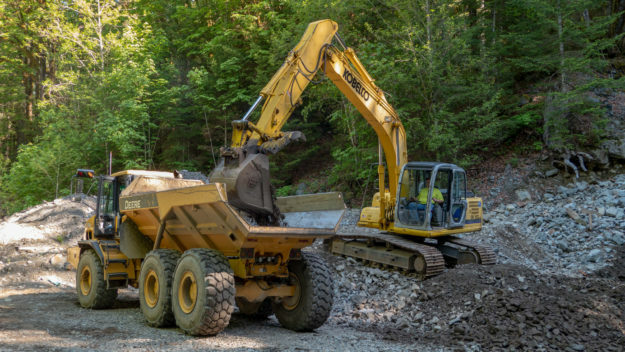 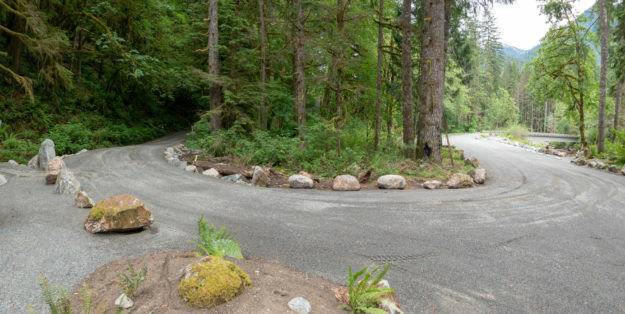 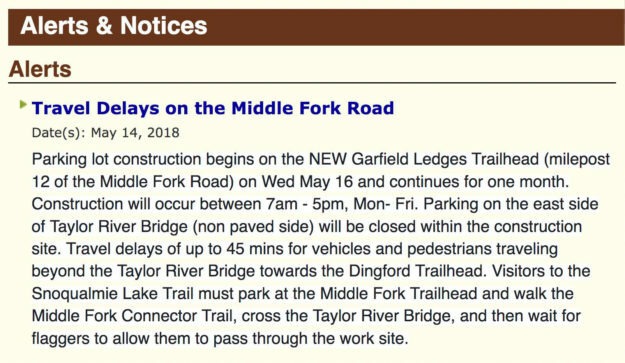 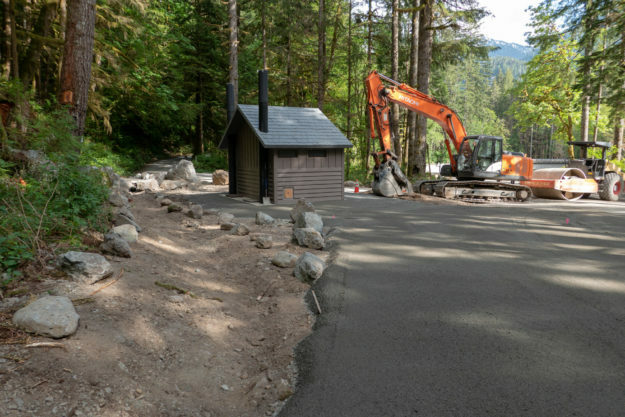 In conjunction with the conversion of Road 5600 past Dingford Creek to trail/private road, sanitation facilities will be provided at the Dingford Creek Trailhead. 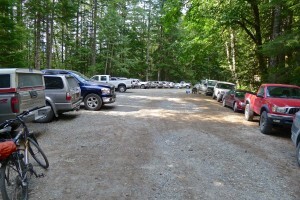 Additionally, the current capacity of 10-12 cars, parking will be expanded to up to a maximum of 30 cars. 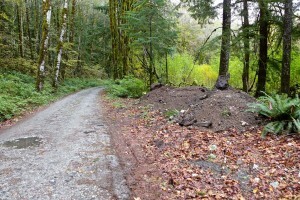 Cutting and grubbing alder and brush that have encroached into the parking area and into the south shoulder of Road 5600 just prior to the trailhead will accomplish this. 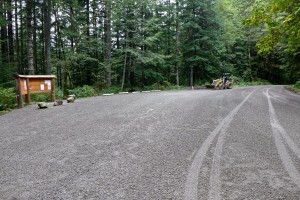 Once cleaned, the area will be graded to provide the expanded parking. 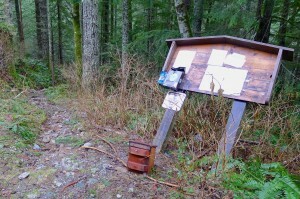 This entry was posted in Dingford Creek, Middle Fork Road and tagged road, toilet, trailhead, USFS on 2013/10/11 by mvanderbilt. 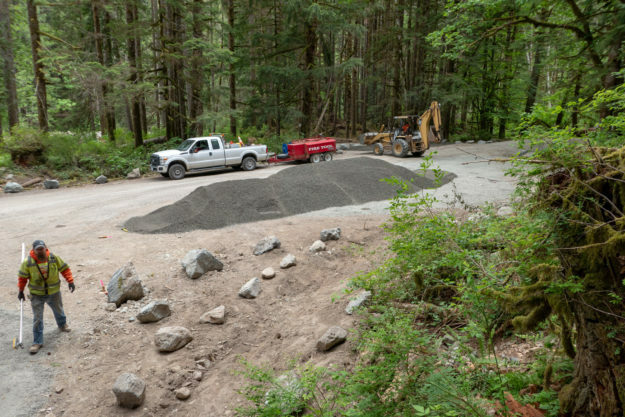 The Forest Service has proposed improved access to the Pratt river bar, including a new bridge across a creek and a toilet. 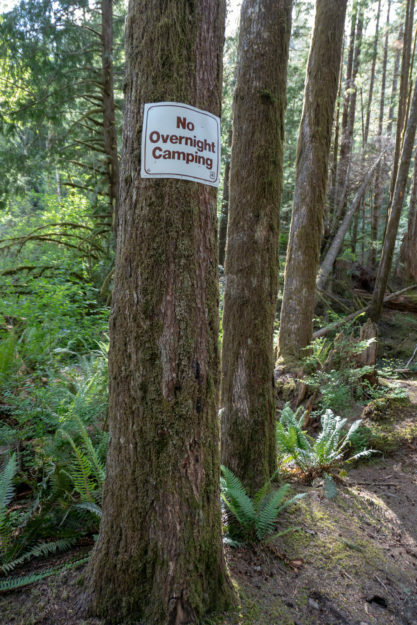 Currently the trail to the river bar requires negotiating a few carefully balanced steps on logs spanning a small creek, then deciding which of several gravelly paths to follow to reach the river. 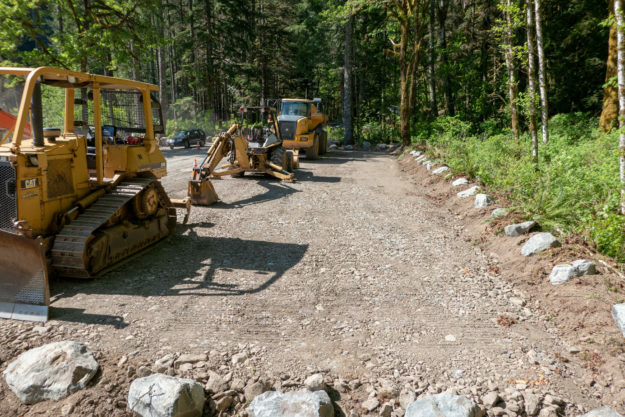 In their words this project will “provide safe access to the Pratt Bar, by converting 1,100 ft. of closed non-system road to a USFS system trail. 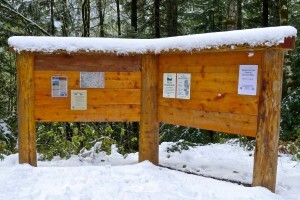 A 35-40 foot bridge would be constructed over a creek and a toilet and trailhead sign would be installed in the existing parking lot.” The comment period ends in March, 2013. 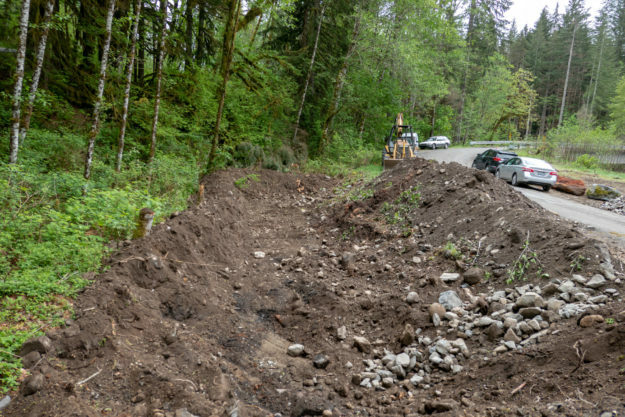 Funding for this work is pending approval of a package of enhancements associated with the FHWA paving project. 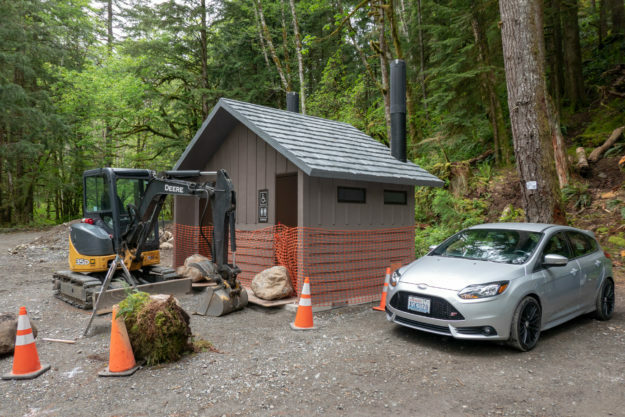 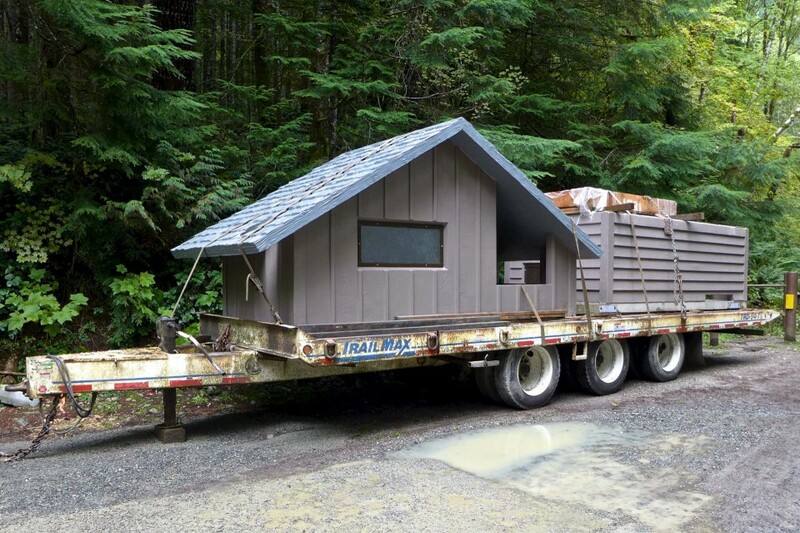 New toilet facilities along the Middle Fork road are always welcome. 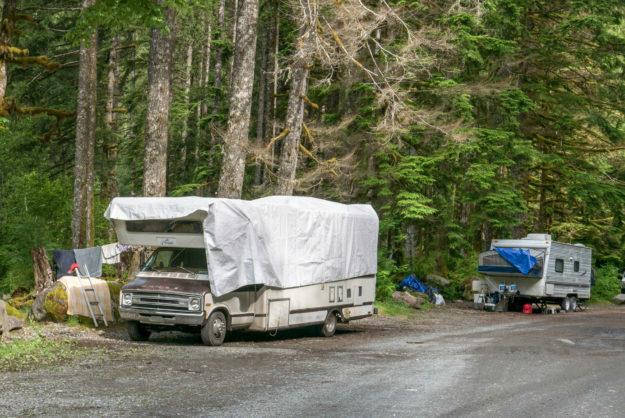 This old model near the bar follows the privacy-by-obscurity model — good luck finding it! 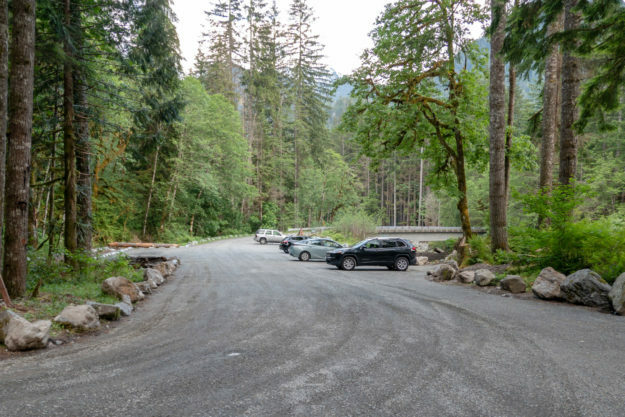 Based on the number of fire pits, this is a popular area for dispersed camping and for good reason — the views on both sides of the river are outstanding. 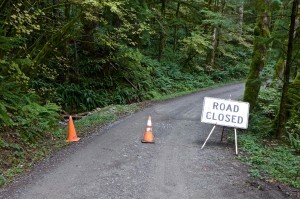 During low water periods, it’s also a short-cut to the Pratt River valley if you’re willing to ford the river. 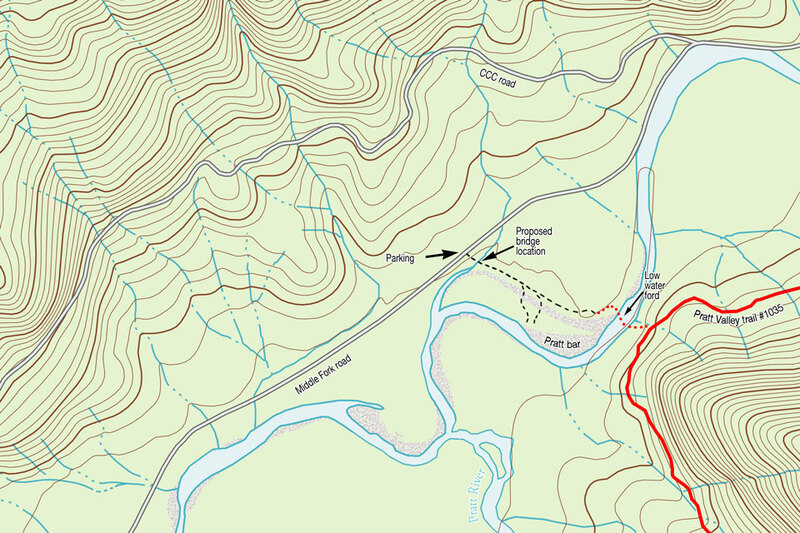 Note: The Google satellite imagery has an offset error for most of the Pratt River valley and some outside of it. 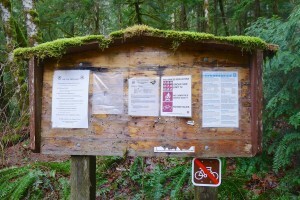 That’s why the annotations on this map are off. 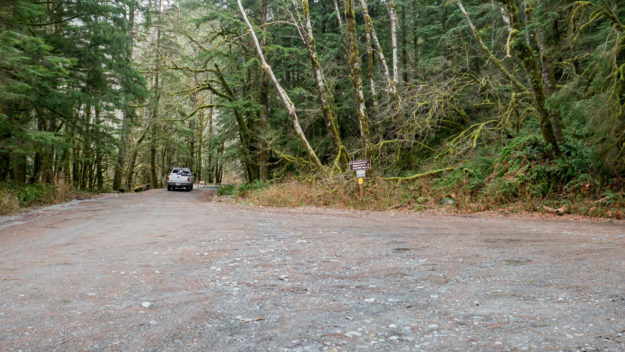 The line for the road and other items are correct, the satellite imagery is shifted north. 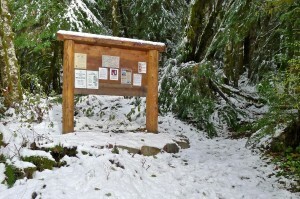 This entry was posted in Pratt River bar and tagged new trail, toilet, USFS on 2013/01/28 by mvanderbilt.